Firecrest Mountain Biking are passionate about Mountain Biking and as one of the pioneers of Mountain Bike Skills Instruction and Coaching with 21 years of experience we are one of the most experienced MTB Skills Instruction and Coaching Providers in the UK. 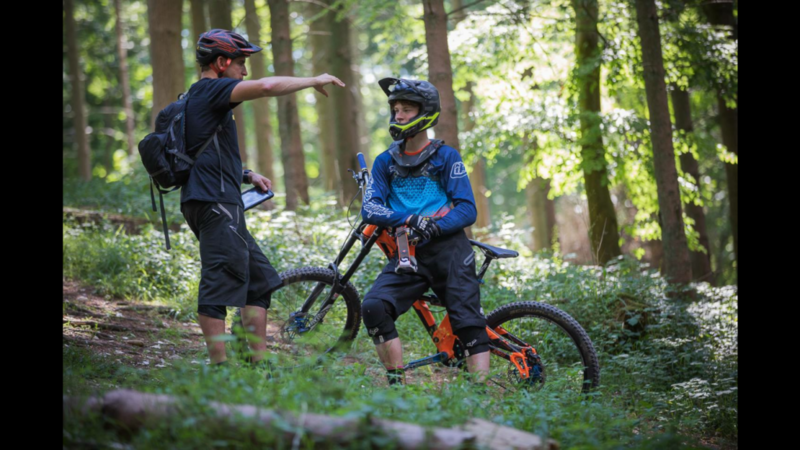 We have used our wealth of experience to create a range of Downhill (DH), Jumps and Drops, Cross Country (XC), E-Mountain Bike and Enduro Mountain Bike Skills Courses along with our Young Rider Development Programme and Adult Development Programme for Mountain Bikers of all ages and experience. All of our Skills Courses utilise the fantastic Mountain Bike Trails at Aston Hill Bike Park in Buckinghamshire (40mins North of London). Aston Hill Bike Park is regarded as one of the best Mountain Bike Parks in the South of England. With a full range of mountain bike trails to suit all abilities to ensure your MTB Skills Course will develop your Mountain Bike Skills, knowledge and confidence. Firecrest Mountain Biking’s On-line Shop. Get your Mountain Bike Skills Course Gift Cards, Gift Vouchers, Firecrest MTB Clothing and Merchandise. Firecr est MTB continues it’s long association with Aston Hill Bike Park in Buckinghamshire. Working closely with the Forestry Commission running all of our courses at this iconic venue. Located just 40 minutes North of London and within easy reach of the Home Counties. Aston Hill Bike Park gives us a fantastic choice of Mountain Bike Trails and a range of terrain to work with. Aston Hill Bike Park has long been recognised as one the UK’s best Mountain Bike Trail Centres, being compact makes it the perfect venue for MTB Skills Coaching, with 5 Downhill (DH) Trails, 5 miles of Cross Country (XC), 4x and the Pumptrack all providing the ultimate MTB Skills Training environment. 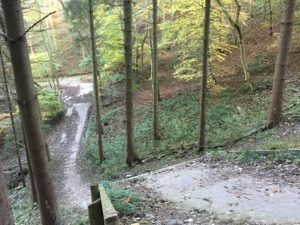 It’s long been recognised “if you can ride the trails on Aston Hill you can ride anywhere” here at Firecrest Mountain Biking we work with you to develop your skill set so you can do just that! Doctors at https://fdlist.com/ suspect that I have sarcoidosis, all the symptoms are very similar to this disease, but they are not sure yet. That's why I first started taking Prednisone tablets to see the results. As a result, we will be able to see what necessary tests and methods of treatment are needed. So far, the results are encouraging. Over the last 19yrs Firecrest Mountain Biking’s award winning Instructors and Coaches have worked with thousands of Mountain Bikers from complete beginners just starting to Mountain Bike, through to the UK’s best 4X, Downhill, Cross-Country & Enduro Mountain Bike Racers who are competing on the World Stage. Firecrest Mountain Biking have been at the cutting edge of Mountain Bike Skills Instruction in the UK for nearly 20 years. Firecrest MTB’s Founder Ian Warby’s pioneering approach to Mountain Bike Skills Instruction and Coaching has lead to Ian developing Firecrest Mountain Biking’s Skills Training System known as ‘The System’. which is at the core of our Skills Training Courses. ‘The System’ will give you a far deeper understanding of how to get the most from your mountain bike, in tern giving you a deeper understanding of what your doing when your out riding the Trails. We take a comprehensive approach to your Skills Training looking at everything from Bike Setup, your Psychological approach and the Physical Elements to understanding how to read and react to the trail regardless of where you riding enabling you to develop and optimise your skills. Firecrest Mountain Biking take a ‘why to’ approach over the old school ‘how to’ approach and it makes a big difference. 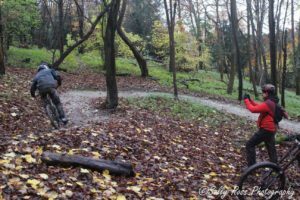 You will develop your Mountain Bike Skill Set faster, retain the many improvements you will make while on your MTB Skills Course and carry those through in your riding in the weeks, months and years after your Skills Course. You’ll find the full range of Firecrest Mountain Biking’s Mountain Bike Skills Courses here>>>. If you’d like to book a course, have any questions or would like to find out more please drop us an e-mail or give us a call on 07711 638195 to get your Mountain Bike Skills Course Booked and take your mountain biking to the next level.